A daring and sophisticated olfactive signature, Bad is the first scent combining accords of tobacco and caviar to create an addictive, pulsating, yet fresh woodiness. Provocative. Salivating. Rough and masculine, tobacco and iris roots turn up the heat. 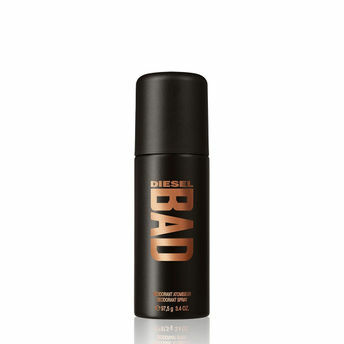 These intoxicating notes finally make you lose control.Diesel Bad For Men Deodorant Spray is totally addictive - ideal for the daring and sophisticated man. Explore the entire range of Deodorants/Roll-ons available on Nykaa. Shop more Diesel products here.You can browse through the complete world of Diesel Deodorants/Roll-ons .